Conti Solar, a leading national EPC, O&M, and energy storage development company, is proud to announce its sponsorship of Rutgers University's Solar Car Team. 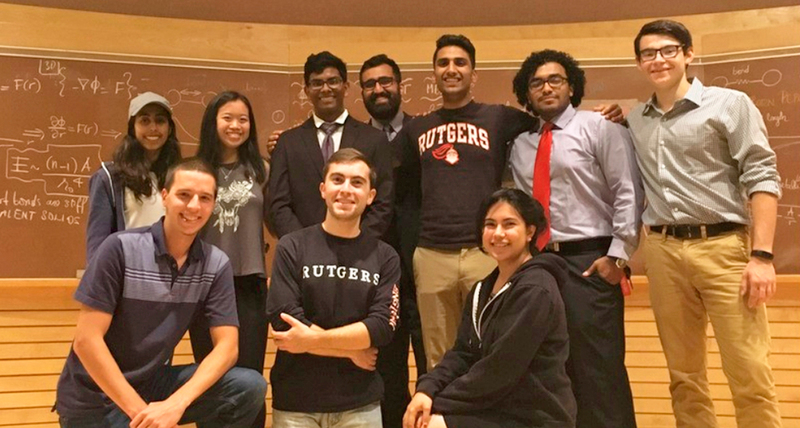 Established in 2011, the Rutgers Solar Car Team is working to design and build a fully functional, street legal, solar powered car. "Sponsoring the Rutgers Solar Car Team is a natural fit for Conti," said Eric Millard, Vice President of Business Development, Conti Solar. "Our company's greatest strength is our people - their work ethic, ingenuity, and desire to succeed - and we want to encourage those traits in the next generation of solar engineers. What better way to start than in our own backyard?" Like Rutgers University, Conti Solar is a New Jersey-based organization with strong ties to the region. As part of The Conti Group, Conti Solar has more than a century of experience providing value for its clients, its staff and its community. The company continually invests in its employees to ensure they can grow and adapt to an ever-changing industry and is excited to extend that investment to encourage local engagement in the solar industry. The Rutgers Solar Car Team's ultimate objective extends beyond building a functioning battery-electric vehicle (BEV). Once developed, the team will race its car in the American Solar Challenge. The annual event hosts teams in a race of strategy, endurance, and cutting-edge engineering: participants design and build a BEV powered entirely by solar cells embedded on the vehicle, and the cars must travel more than 1,700 miles over nine days in a multistage race. With Conti Solar's financial commitment, the team is one step closer toward meeting its goal. More information about the Rutgers Solar Car Team can be found at www.rusolarcar.com.